I was riding BART home from Home Entertainment 2003, thinking about the day—the new products, the old friends, the rooms with really great sound. It's a long ride from downtown San Francisco to Livermore, so I next got to thinking about all of the hi-fi shows I've attended over the years and which companies, year after year, always seem to have good sound. At the top of the list were Audio Physic and its US importer, Allen Perkins' Immedia. My BART ride wasn't the first time my mind had followed this particular track, however. 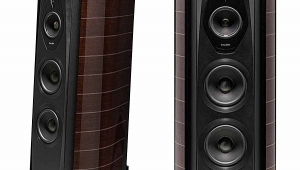 In fact, I had just these thoughts last summer, when I requested a pair of Audio Physic Virgo IIIs to replace my longtime reference speakers, the Magnepan MG3.6/Rs, which Trish deemed too view-impeding to make the move to our new house. The Virgos fit the bill perfectly—a smallish, great-sounding speaker that—based on my observation that AP speakers always sound good at shows—might integrate well into my unusual, large listening space. 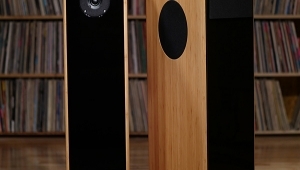 The original Audio Physic Virgo (reviewed in the September 1995 Stereophile) was designed to a simple brief: to integrate a point-source minimonitor with a woofer, successfully merging the former's wide dispersion and precise imaging with true full-range response. This goal, and the Virgo's basic configuration, have remained constant over the years, while pretty much everything under the hood has changed. 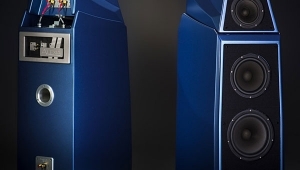 At $6995/pair, the Virgo III is now No.2 in Audio Physic's US lineup, behind the $12,000/pair Avanti IIIs, a longtime reference for Michael Fremer. 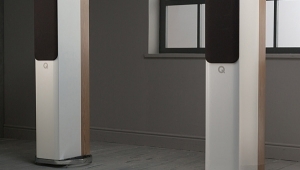 The Virgo III is a floorstanding three-way and, true to its minimonitor-plus-woofer concept, is essentially Audio Physic's Brilon minimonitor mated to a woofer assembly. The minimonitor component consists of ring-radiator tweeter custom-made for Audio Physic by VIFA, and a 4.5" aluminum-cone midrange custom-built by SEAS. The rationale behind a ring radiator—imagine a ring suspended along its inner and outer circumferences and driven along a circle midway between the two—is that it combines a large driven area with a relatively short distance between the point where the diaphragm is driven and either of the two points it's suspended. 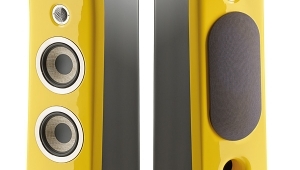 The short suspended distances reduce distortion products, and the large driven area increases sound-pressure-level capability and allows the tweeter to be used at lower frequencies. 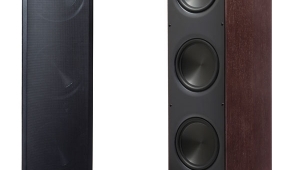 This last benefit supports AP's desire to move the midrange-tweeter crossover from 3kHz—where it could affect female vocal and violin reproduction—to a theoretically less intrusive 1.8kHz. 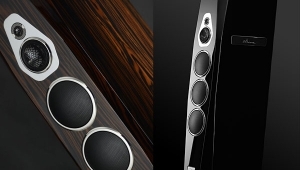 The aluminum midrange incorporates a bit of trickery as well, in the form of AP's unique "active cone damping" system, which puts the cone in tension and thus raises its inherent resonances to well above the audioband. As with earlier Virgo models, the midrange driver is enclosed in its own trapezoidal housing, built within the main cabinet structure. 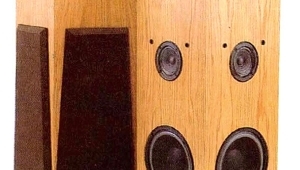 The woofer subsystem is one of the major differences between the III and earlier Virgos, which used two sideways-firing active woofers, one facing each way, and a single port at the front of the speaker. In the III, the port is replaced by two passive radiators and each side of the cabinet houses a vertical array of a woofer and a radiator. 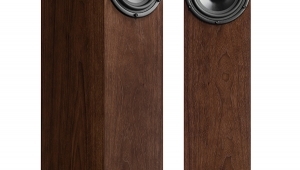 The Virgo IIIs come as mirror-imaged pairs, the active woofer below the passive radiator on the speakers' inner sides, the drivers flipped on the outboard sides. 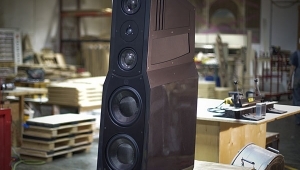 In another major change, the woofer assemblies are no longer mounted directly to the external cabinet, but housed in their own sealed inner cabinet of MDF, this suspended inside the external structure with elastomer to isolate the midrange and tweeter from the woofers' vibrations. Audio Physic provided wonderfully straightforward instructions for setting up the Virgo IIIs, the procedure based on a clear explanation of the physics of room reflections, arrival times, and distances—see the October 1998 "Fine Tunes." 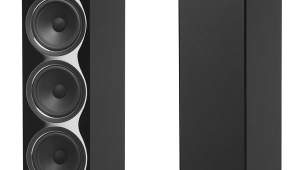 Since the optimum way to avoid sidewall reflections is to keep the speakers away from the walls, and since the way to get the widest possible soundstage is to separate the speakers widely, following AP's recommendations will likely result in your speakers firing across a rectangular room's width rather than down its length. This worked well in my listening area, which—although it's actually one arm of a complex, flowing open area—is basically a rectangle 18' wide by 15' deep. 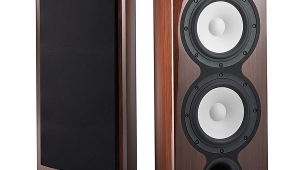 Once the speakers are roughly positioned according to the aforementioned physics, they can be moved into and out of the room to achieve the optimal tonal balance at the listening position. 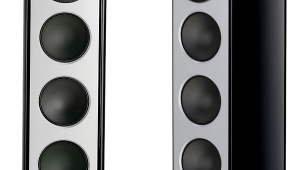 Finally, one speaker is moved very slightly forward and back to center the image, then rotated to—Voilà!—fine-tune and lock in the focus. I ended up with the Virgos' fronts about 4' from the front wall, 5' in from the sides of my space, and about 8' apart. This put their plane about 8' from my listening chair, which located my ears about 3' in from the back wall and about 38" above the floor—the same elevation as the Virgos' tweeters.